An immoral economic system compels a society’s moral decline. Because of Congressional devotion to our traditional economic system, American government seems to have enshrined all the disadvantages and none of the advantages of democracy. We have a government based on dissent, in which delay is a common tactic and secrecy is regularly employed, and which enacts imbecilic measures that never produce the results predicted. Is it any wonder, then, that the nation stumbles from one calamity to another? We the People can certainly change things, since, in accordance with our Constitution, it is We the People who are Sovereign. All that is required is a few carefully drawn amendments. 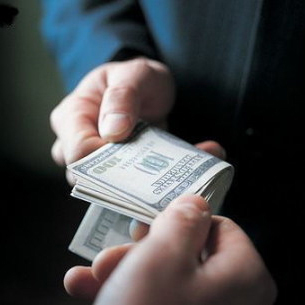 Corruption is a moral failure; it is ubiquitous in societies permeated by immorality. So how are such societies formed? I have long contended that a society’s morality devolves from the prevailing economic system rather than early childhood teaching or religious beliefs. An economic system that institutionalizes immorality diffuses it throughout society. Empirical evidence for this claim is pervasive; however, providing a demonstration is not easy. The empirical evidence can always be dismissed by claiming that immorality is a personal character fault and not a result of anything systemic. But that dismissal doesn’t explain how huge numbers of people in any society acquire nefarious characters. The common, although perhaps simplistic, view of the American economic system goes something like this: individuals, acting in their own self-interest as economic agents, engage in economic activities that bring them the greatest financial rewards thereby maximizing the economic well-being of society as a whole. Although experience does not validate this view, it is common and Adam Smith does write, in Chapter II of An Inquiry into the Nature and Causes of the Wealth of Nations, “It is not from the benevolence of the butcher, the brewer, or the baker that we expect our dinner, but from their regard to their own self-interest. We address ourselves, not to their humanity but to their self-love, and never talk to them of our own necessities but of their advantages.” But what does this quotation imply about Congressmen? Let’s rewrite the sentence. It is not from the benevolence of Congressmen that we can expect them to serve the public good, but from their regard to their own self-interest. We address ourselves, not to their humanity but to their self-love, and never talk to them of our own necessities but of their advantages. I have never known anyone who did not believe that the Congress was not corrupt, even though Congressmen, like common criminals, regularly plead not guilty. How can they justify their pleas? Simply by saying that what’s good for me is good for the country, which is perfectly consistent with the two rewritten sentences shown above. In other words, Congressmen defend the morality of their actions by appealing to the prevailing economic theory. That the results are not beneficial to society as a whole is irrelevant to them. That their actions conflict with commonly held moral values is irrelevant to them. They are merely doing exactly what the economic theory recommends. Of course, businesses can defend their malicious actions in exactly the same way. So can criminals. The result is that commonly held moral values are dismissed as irrelevant and society is imbued with immorality. An immoral economic system compels a society’s moral decline. Such declines are systemic and not accidental. The questions to be answered, then, are what financial rewards do Congressmen receive from promoting the public good? And would they receive greater financial rewards from promoting the gains of private interests? If the answer to the latter question is yes, then Congressmen, in accordance with the prevailing economic theory, are doing exactly what that theory recommends when they promote the aims of private, special interests at the expense of the public. Belief in the prevailing economic system corrupts government, business, and every other activity. It also turns representative democracy into a content less, meaningless ritual. I have often wondered why people run for Congress, especially after seeing what they do after getting elected. There are many very wealthy people in the Congress; some are multi-millionaires. Why do they collect their salaries? They certainly do not need the money. Why do they enroll in government subsidized medical care? They certainly can afford to buy care in the open market. Why have they created government subsidized retirement plans for themselves? They are not likely to ever run out of money. Why, when criticized for supporting legislation advocated by a special interest they have accepted money from, do Congressmen claim that the money didn’t influence their votes? Why would special interests give money to people for doing what they claim they would have done anyway? Giving people money for doing what they would have done anyway is not a common practice. When Congressmen claim that special interests do that, the claim requires an explanation, but none is ever forthcoming. If the goal of such giving is not to influence votes, why is it done? The only conclusion that can be drawn is that Congressmen are not in it for public service; they are in it for the money, and alas, Jesus was right when he said, “The love of money is the root of all evil” (1 Timothy 6:10). Unfortunately, 1992 was far too late, for the emergence of career politicians nullified the amendment’s original intent. Congress sets its own compensation; Congressmen now merely have to wait some months for their raises to take effect. The founding fathers did not envision career politicians. In fact, some amendments were proposed to limit the terms of Congressmen, especially Senators. For instance, the New York Ratification Convention proposed “That no Person be eligible as a Senator for more than six years in any term of twelve years” which would have prohibited anyone from serving two consecutive terms in the Senate. So what is needed is a simple amendment that ties Congressional compensation to some objective number, such as per capita income which is a better measure of the wealth of people than GNP/GDP which I have argued elsewhere is a bogus and nefarious measurement. If Congressional compensation were set at say 1.5 times per capita income, Congressional compensation would increase only if the incomes of common people were increasing. Reimbursed Congressional expenses could also be set in the same way, say at 0.5 times per capita income. And Congressmen should be prohibited from enacting benefits for themselves unless those same benefits are also made available to the general public. Such an amendment would force the Congress to pay attention to promoting the general welfare, as the Preamble of the Constitution requires. Such an amendment would put current Congressmen in an absurd position. If they continued to support special interests, their incomes would stagnate and perhaps even be reduced. Such an amendment could, thus, have the effect of reducing the influence of special interests on the Congress. Two likely objections to restricting Congressional compensation can be anticipated: the best and the brightest would not be attracted to Congress, and increased corruption would be likely. First, both of these objections are based on the economic system’s maxim that everyone acts in his/her own self-interest as an economic agent. But this maxim is patently false. When a child decides s/he wants to be a police officer, a fireman, a school teacher, a social worker, a nurse, or countless other things, it can hardly be argued that s/he is making that choice in order to maximize his/her earning power. None of these professions is lucrative; yet they are professions that are absolutely necessary for society to function. Second, the current conditions cannot be shown to attract “the best and the brightest” to political careers. Given the kinds of legislation that the Congress has enacted consistently, one could easily argue that Congress attracts the worst and dullest. Not a single major social problem has been solved in at least a century. What such an amendment might very well do is attract to the Congress people who have a genuine desire to serve the public rather than themselves. And third, it is true that in underdeveloped countries where civil servants are poorly paid, corruption is endemic. But corruption can be reduced by making the penalties for both the corrupter and corrupted severe. Instead of fines and relatively short prison sentences, the assets of both the corrupter and corrupted could be confiscated and their citizenship revoked. Corruption exists only because society tolerates it. That government is instituted and ought to be exercised for the benefit of the people is a sentiment that occurs in the deliberations of many of the Ratification Conventions held in 1788. It was explicitly stated in the conventions held in Pennsylvania, in the debates on the Bill of Rights held in the House of Representatives, in the amendments offered in Congress by James Madison, and in the amendments reported by the select committee. Our Congress seems to have forgotten it. James Wilson also said, while reporting to the Pennsylvania Ratification Convention, “The advantages of democracy are, liberty, equality, cautious and salutary laws, public spirit, frugality, peace, opportunities of exciting and producing abilities of the best citizens. Its disadvantages are, dissensions, the delay and disclosure of public counsels, the imbecility of public measures.” American government seems to have enshrined all these disadvantages and none of the advantages. We have a government based on dissent (the minority party is often referred to as “the opposition”), in which delay is a common tactic and secrecy is regularly employed, and which enacts imbecilic measures that never produce the results predicted. A surge in wealthy Americans who are prepared to give up their citizenship to avoid the scrutiny of US tax authorities has recently been reported. This not only validates Jefferson’s belief that “Merchants have no country.” But it also puts the Congress in a precarious position. Currently, the Congress legislates for the benefit of business. Whether this results from business’ buying Congressional votes or from an attachment to a misguided economic system is irrelevant. If Jefferson is right, and he appears to be, the Congress is legislating for the benefit of those who have no devotion or attachment to the nation or its people. Is it any wonder, then, that the nation stumbles from one calamity to another, that no problems get solved, or that the society’s institutions don’t work? James Wilson believed that “The people of the United States are now in the possession and exercise of their original rights; and while this doctrine is known, and operates, we shall have a cure for every disease.” But he also believed, “The consequence is, that the people may change the constitutions whenever and however they please. This is a right of which no positive institution can ever deprive them.” Since the American Congress can now provide a cure for absolutely no disease, it is time for the American people to assert their right and change the Constitution in ways that will force the Congress to legislate solely for the benefit of the people, which We the People can certainly do, since, in accordance with our Constitution, it is We the People who are Sovereign. All that is required is a few carefully drawn amendments.